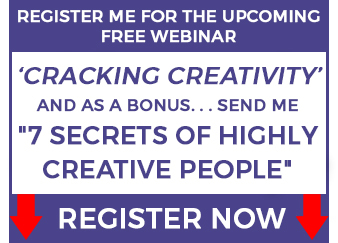 Cracking Your Creativity Code takes you on a guided journey designed to awaken your full creative potential. You will be led by experts in the fields of creativity, neuroscience, psychology, meditation & peak performance. Insights from modern neuroscience to the ancient wisdoms are woven with poetic imagery offering a transformative experience. You will explore the rational, emotional, intuitive and spiritual realms of creativity. What combination will unlock your creative powers? 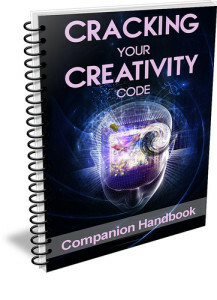 The Cracking Your Creativity Code Companion Handbook takes you to the next level. It transforms the film into a complete creativity course. No matter what business you are in, CREATIVITY is essential. All businesses and organizations must continually innovate or risk being left behind. Don’t rest on your laurels. . . create. – Reduce waste and costs. – Have a more fulfilled and a less stressed team. Enter your info below to receive your free report.